The ginaissance that has filled our bars and spirit shops with small batch gins shows no signs of slowing down. Occasionally people will claim that rum is the new gin, or mezcal; they're not. Gin is the new gin, with fresh brands launching and established gins producing seasonal batches and new styles. Once it was just ice and a slice, now there's a profusion of tonics, mixers and garnishes to accompany your drink. How are you, a self-proclaimed ginpert, meant to keep abreast of all the action? By attending a gin festival, a chance to sample new gins and mixers and hear the stories behind the spirits. Gin Festival was started in 2012 by a husband and wife team. In 2017, the company hosts 18 festivals across the UK, including seven first time events. Blackpool is one of the new destinations, hosting its first ever gin festival this spring. There are 100 different varieties of gin to try, as well as masterclasses with distillers, talks from experts, cocktails and live music. Those Mancunians must love their mother's ruin, with the Gin Festival rocking up for two weekends of gin sampling. 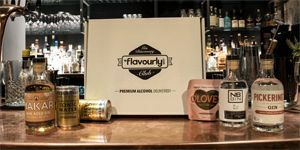 Craft Beer Discovery, who host Falkirk's festival of craft beer and Falkirk Whisky Festival, branch out into the gin game. Sample spirits and learn how to achieve that perfect serve. Ticket price includes samples of all gins, two gin and tonics from the festival bar and nibbles. The Finsbay hosts Milngavie's first gin festival, with samples, cocktails and talks from industry experts. Featured gins include Harris Gin, Eden Mill, Caorunn, Gin Mare, Rock Rose, Botanist, Hendricks, Koval, Hoxton, King Soho, Edinburgh Gin, Stirling Gin, Saffron Gin and Monkey 47. The Juniper Festival returns to Summerhall for a long weekend in June. Meet the people behind the gins, with representatives from local and international brands. There is also a bottle shop to pick up any new favourites, plenty of mixed drinks and cocktails to buy and street food to soak up the booze. 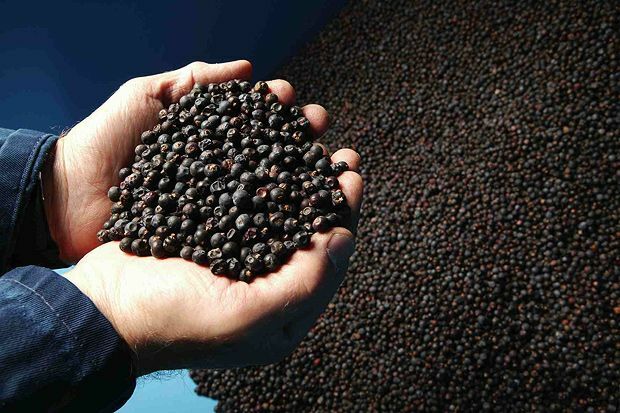 On World Gin Day (Sat 10 Jun), it's Glasgow's turn to host the Juniper Festival. Tickets include a Festival Guide, a taster from all the brands on show and entry on a first come, first served basis to any of the talks. Croxteth Hall And Country Park get into the World Gin Day spirit with three sessions of gin tastings across Friday and Saturday. Enjo a variety of gins, served with Fever Tree tonics and garnish, as well as live entertainment. Other drinks are available if you are so inclined. Now in its fourth year, Junipalooza returns on World Gin Day. The funky name is a blend of juniper, gin's main botanical, and palooza, meaning a party or celebration. On the Friday night, there's a speed tasting event where distillers (and their gins, of course) join your table to share stories and samples, before hopping to the next table. On Saturday, there are 45 brands plus in attendance, with over 115 gins between them. The day also includes talks, masterclasses and a cocktail bar. It's the turn of gin lovers in Leeds to sample the more than 100 gins, with unlimited tonic supplied by event partner Fever-Tree and the chance to try exclusive gins available nowhere else, including Leeds Gin White Rose. Run by Provender Brown Delicatessen this festival boasts over 50 different gins to taste, as well as workshops, a chance to meet the distillers and gin-inspired recipes and cocktails. A celebration of gin, from the Stirling Whisky Shop. The 2017 event is their fourth festival and is set to be bigger than ever, with three sessions available. Exhibitors and masterclasses are announced closer to the time. One gin is most definitely guaranteed, Stirling Gin. Fri 3 & Sat 4 Nov, Stirling Highland Hotel, Stirling. A showcase of over 100 different gins, including several new varieties. There are also masterclasses with distillers, talks from ginperts, cocktails and live music. Craft Beer Discovery, the team who host Falkirk's festival of craft beer and Falkirk Whisky Festival, branch out into the gin game with the Falkirk Gin Festival. Sample gins and learn how to achieve that perfect serve. Ticket price includes samples of all gins, a programme and one gin and tonic token. Milngavie's first ever gin festival, with samples, cocktails and talks from industry experts. Featured gins include Harris Gin, Eden Mill, Caorunn, Gin Mare, Rock Rose, Botanist, Hendricks, Koval, Hoxton, King Soho, Edinburgh Gin, Stirling Gin, Saffron Gin and Monkey 47. This festival boasts over 50 different gins to taste, as well as workshops, a chance to meet the distillers and gin-inspired recipes and cocktails.